Written on May 30, 2017 . Posted in Announcements + Updates, Fine Arts. Johnny Adimando (Technical Assistant, Printmaking) was recently featured in an artist profile by the Rhode Island State Council on the Arts (RISCA). Adimando was the recipient of the 2016 RISCA Fellowship in Drawing and Printmaking, the profile is quoted in full below. Johnny Adimando’s work has been defined as; “art that speaks to a constantly shifting material reality.” He has developed an artistic practice that is defined by a focus on intense detail, technical proficiency, and the harmonious mixture of various mediums. 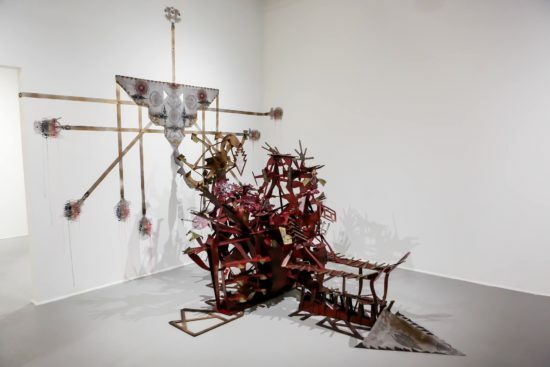 His work does not subscribe to one particular convention; bridging dedicated engagement with various print media processes into performance, photography, sculpture, and video. Adimando’s work is represented by Yellow Peril Gallery, and held by public and private collections including; The Philadelphia Free Library, Samek Art Gallery at Bucknell University, Tower Investments Gallery, Lyman Allan Museum, various print exchange projects and flat file collections, and has been exhibited nationally and internationally. 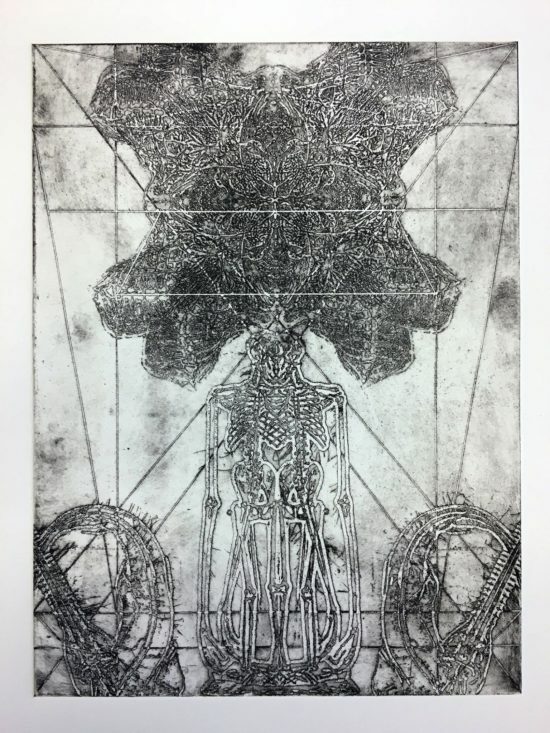 He is currently part-time faculty in Painting and Printmaking at the Rhode Island School of Design, where he also manages all printmaking studios. He earned his BFA from the Tyler School of Art at Temple University (2005) and MFA from the Rhode Island School of Design (2009). 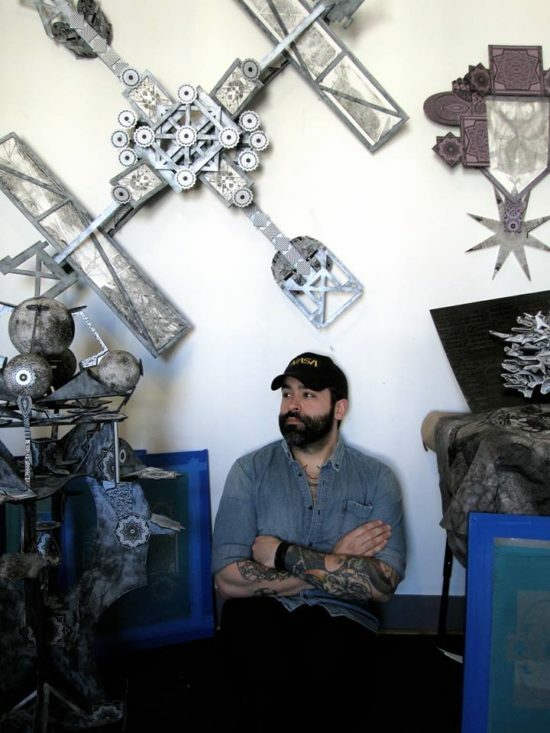 He is the recipient of awards including a two-year fellowship at Bucknell University, Temple Rome Grant, Frogman’s Print and Paper Workshop scholarship, Professional Development Funding Grants from the Rhode Island School of Design in 2013, 2015, and 2016, Ruth Katzman Fellowship to the Art Students League Vytlacil residency, an individual artist fellowship to the Chulitna Lodge in Alaska, and a 2016 RISCA Fellowship in Drawing and Printmaking. Sentinel of Solemn Spheres. Yellow Peril Gallery / Peligro Amarillo. Santurce, PR. Aug/Sept.